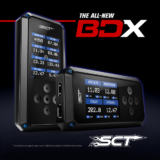 Comments Off on SSi TD 1116 and TD 125 Ecoboost Tuning Released and The Reviews are Amazing! TD 1116 and TD 125 Ecoboost Tuning Release! We did this a few weeks for ago and every customer old and new are giving this raving reviews! Many of you know we are always seeking perfection with relentless pursuit of excellence within the Ecoboost tuning platform. Customer both new and old are giving this tuning the best reviews we have ever heard. Come on over to the SSi Performance Facebook Group here https://www.facebook.com/groups/SSiPerformance/ and see what has taken the ecoboost tuning world by storm and what customers are saying. SSi Performance always delivered the best ecoboost tuning available and we just raised the bar once again. We never settle for good enough here at SSi Performance Tuning. 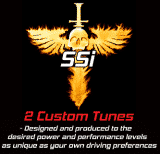 SSi Performance December Sales Event Starts Now!